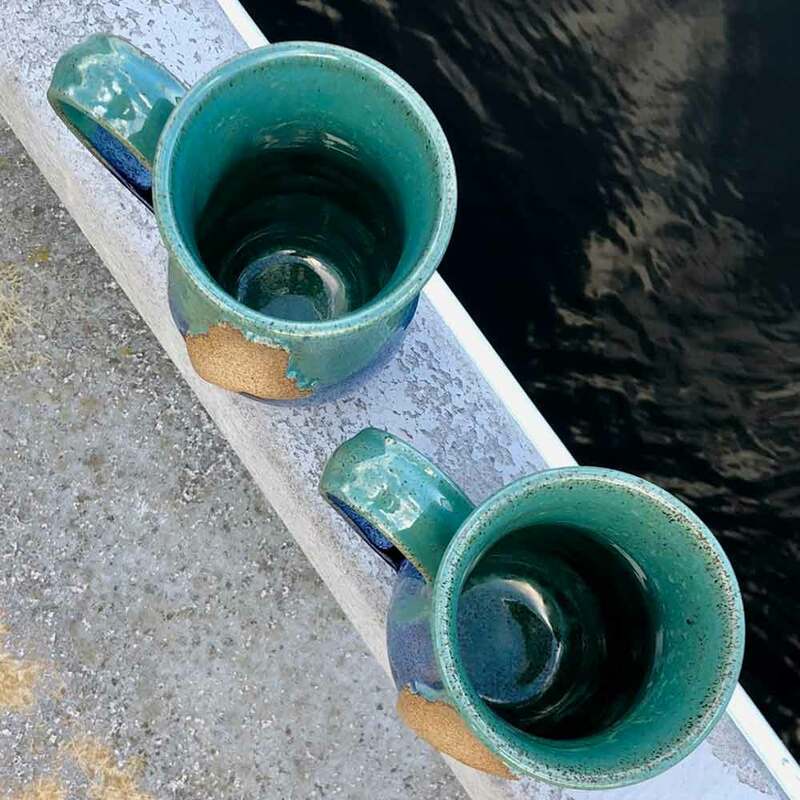 and glazed and variations occur. 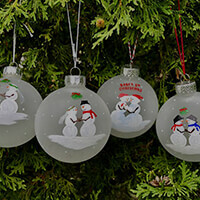 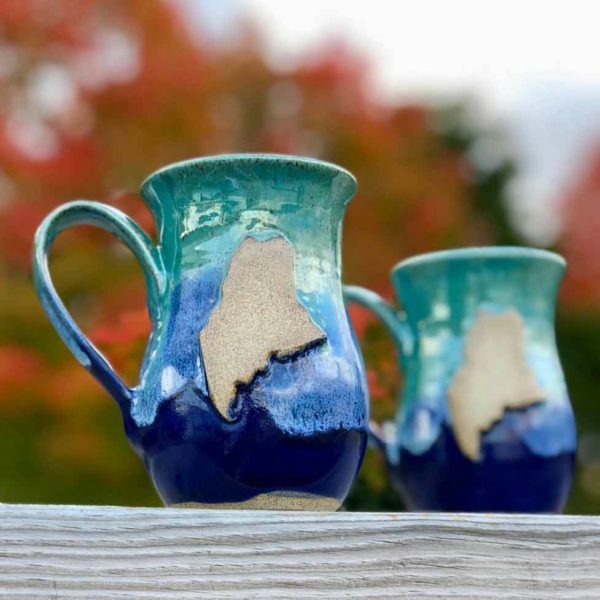 Call Bath (207-443-2225) or Portland (207-828-1515) for additional styles and glazes. 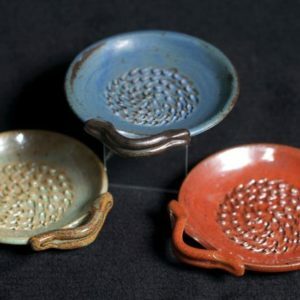 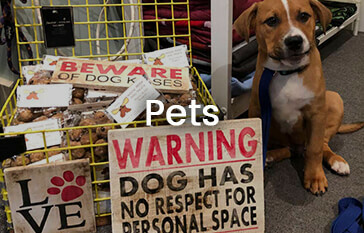 LKB Pottery specializes in functional wheel-thrown pottery. 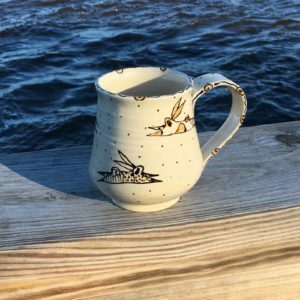 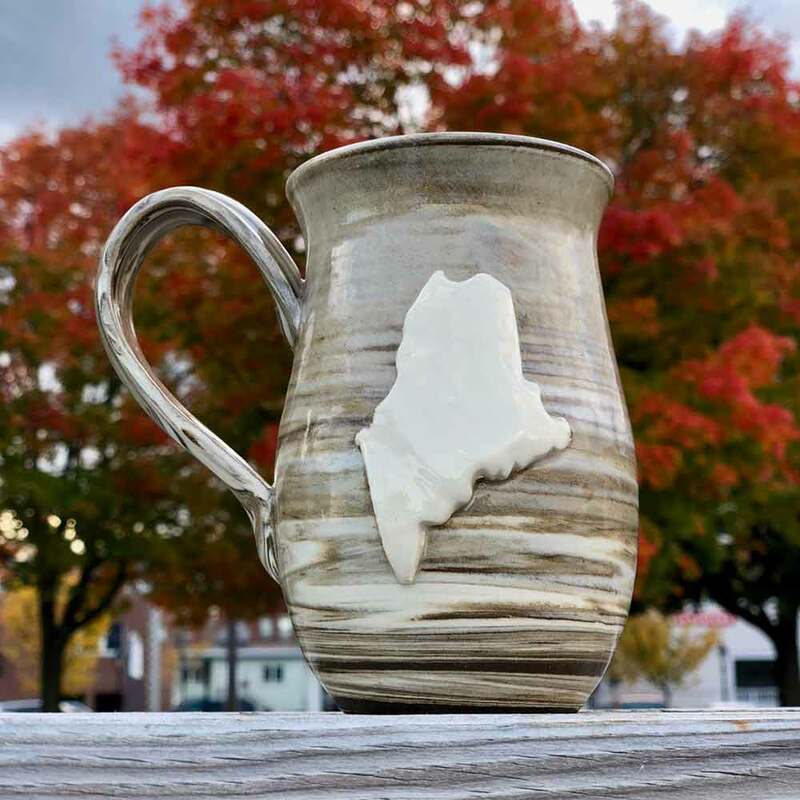 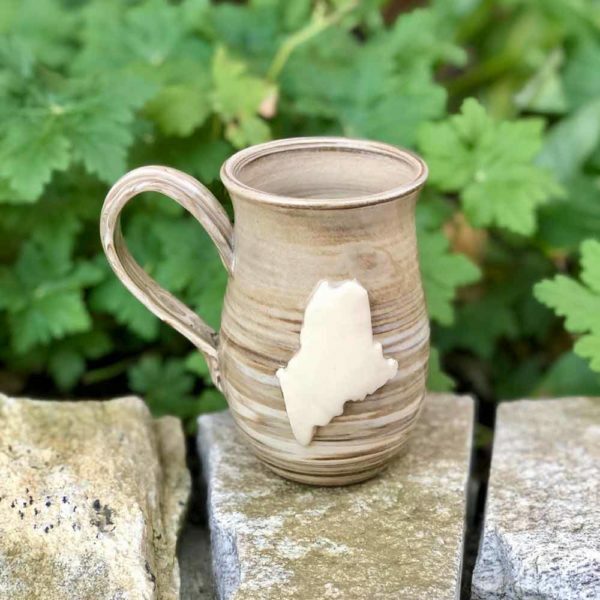 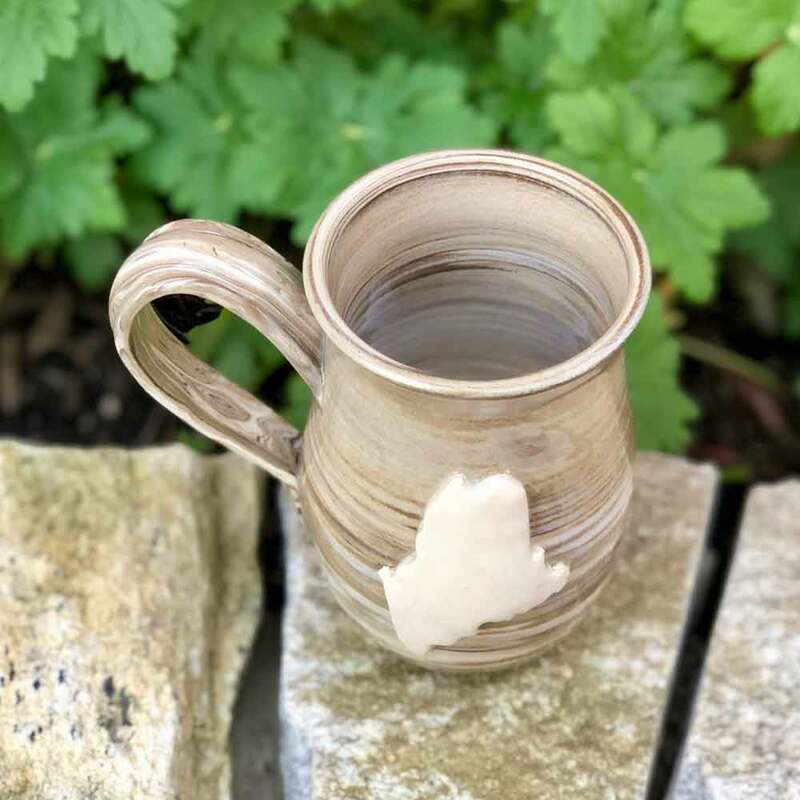 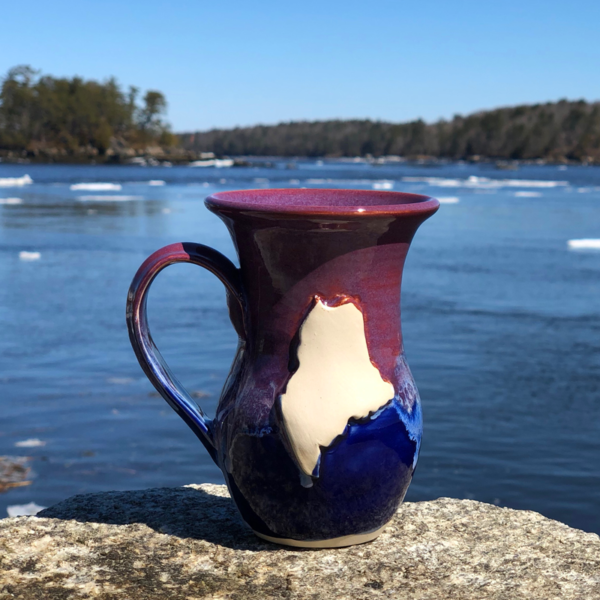 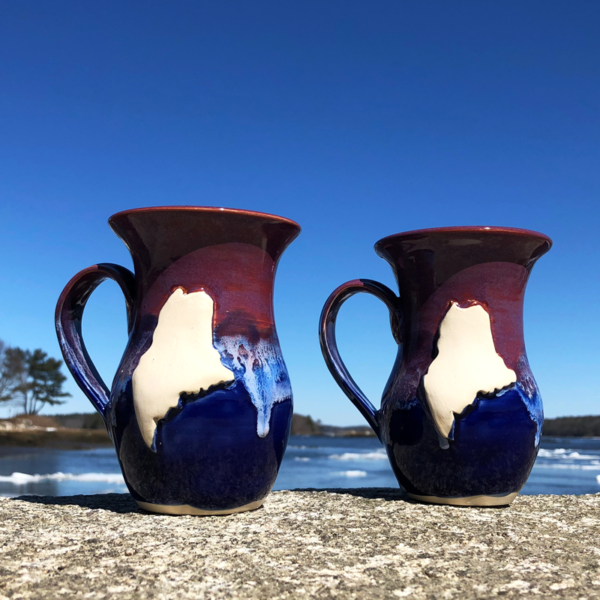 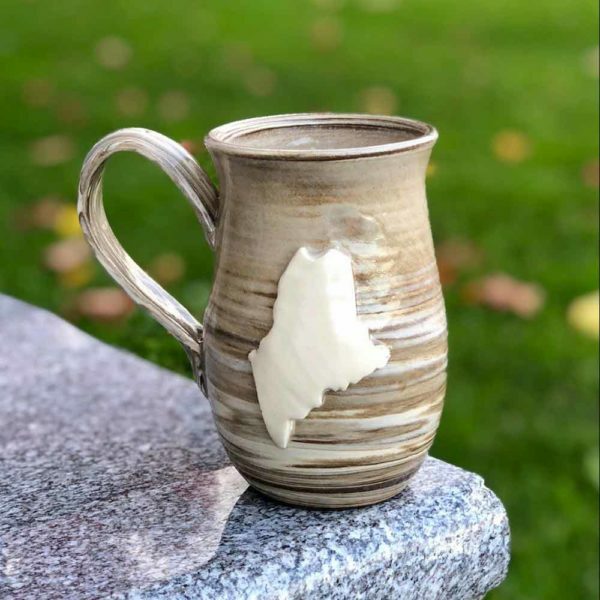 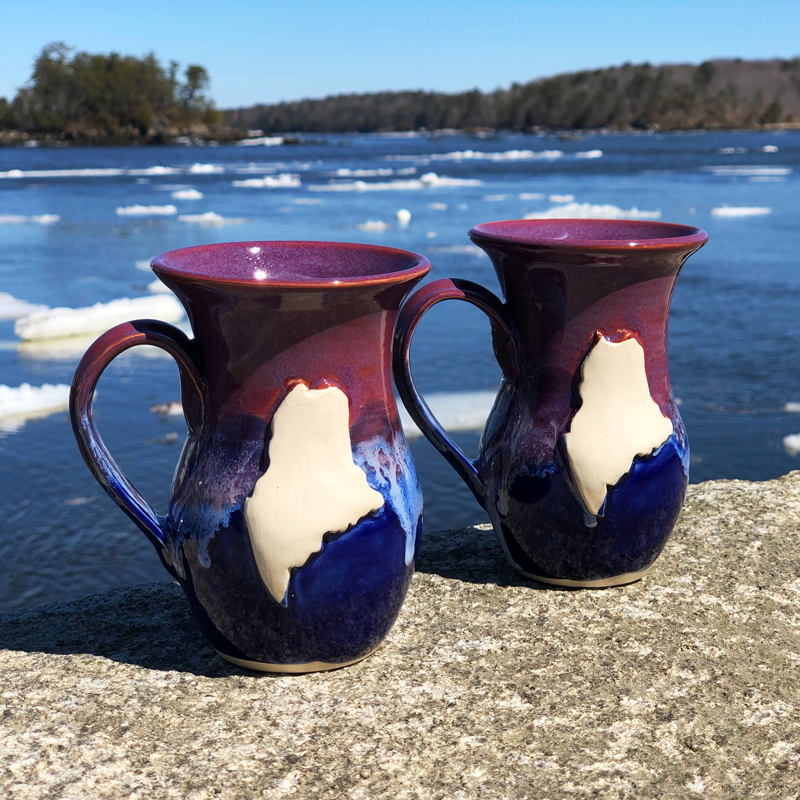 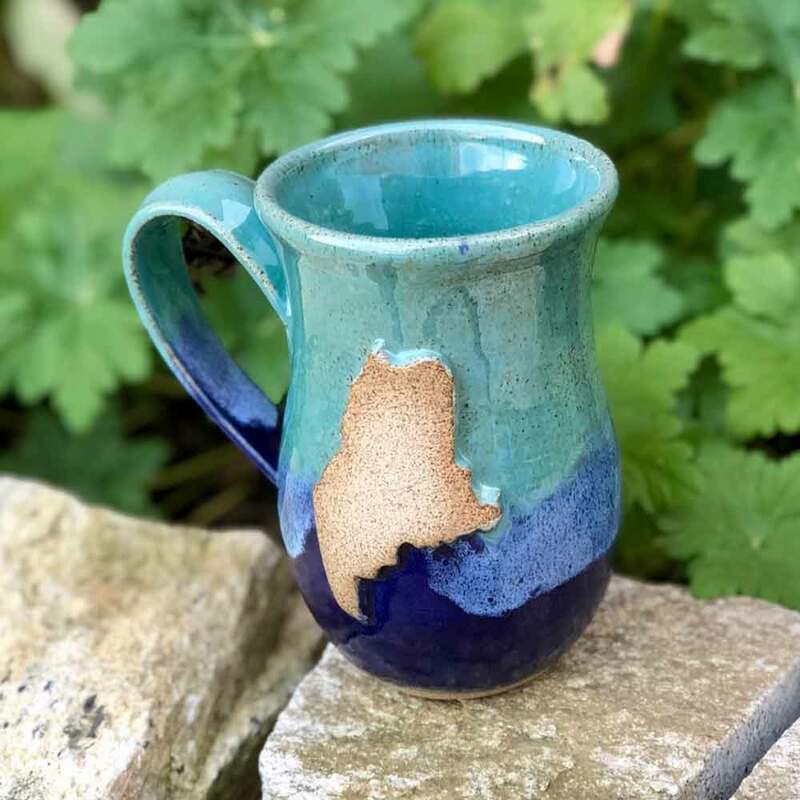 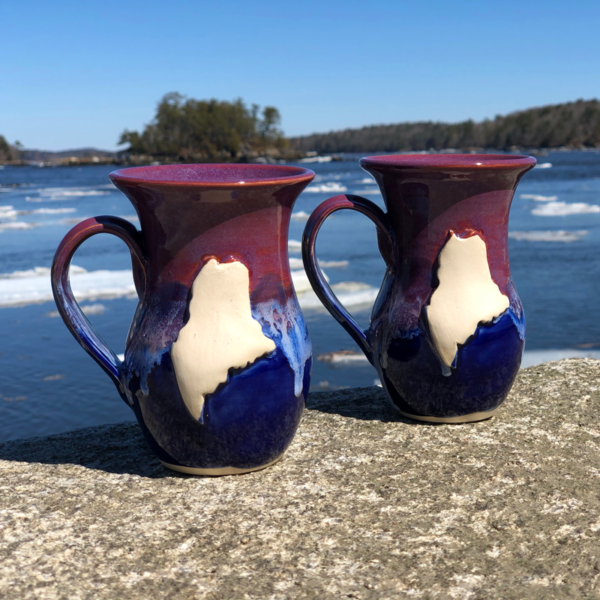 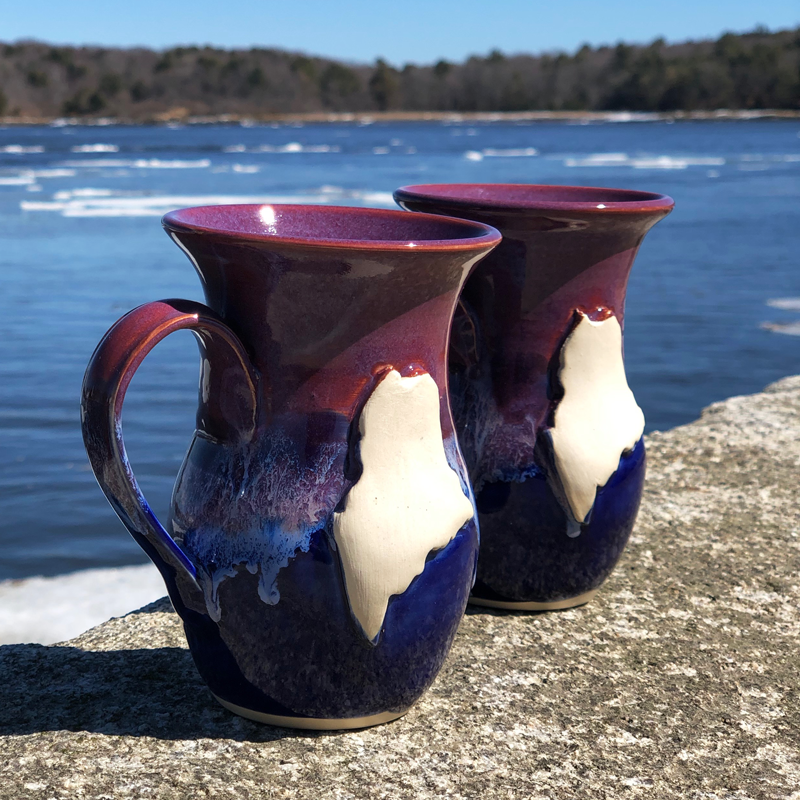 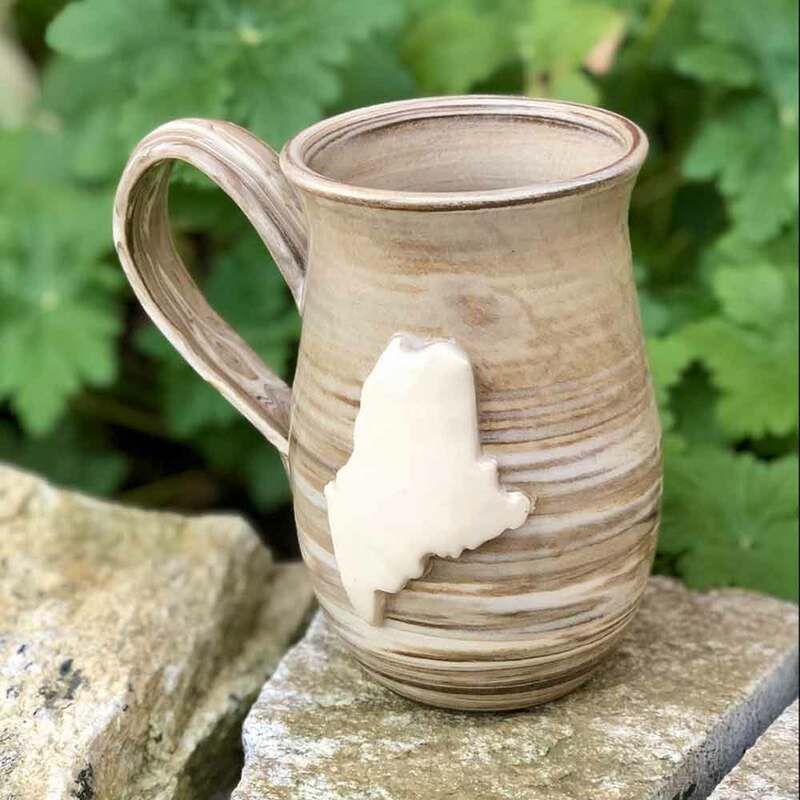 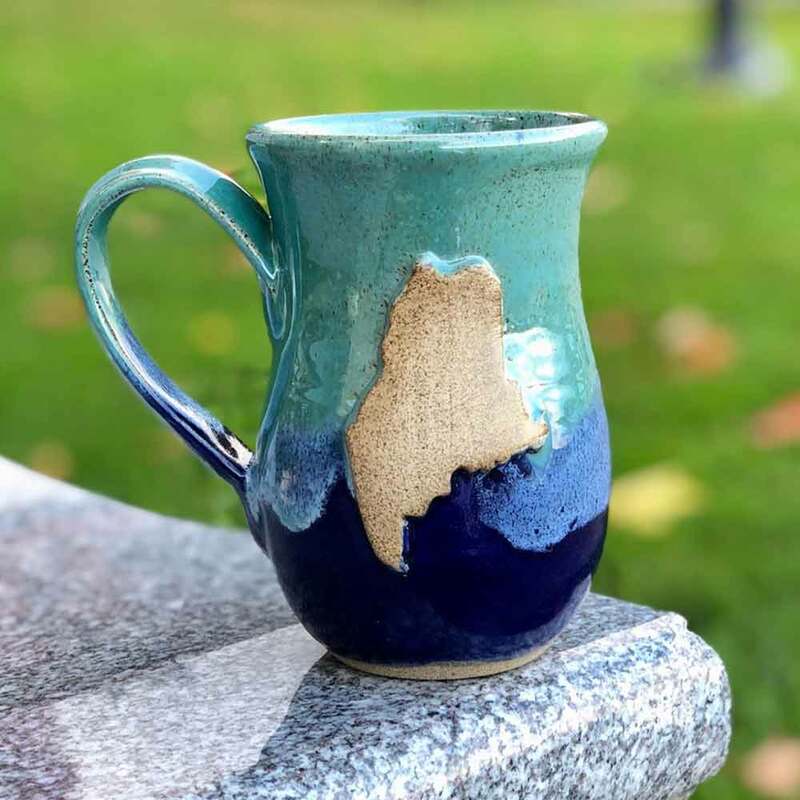 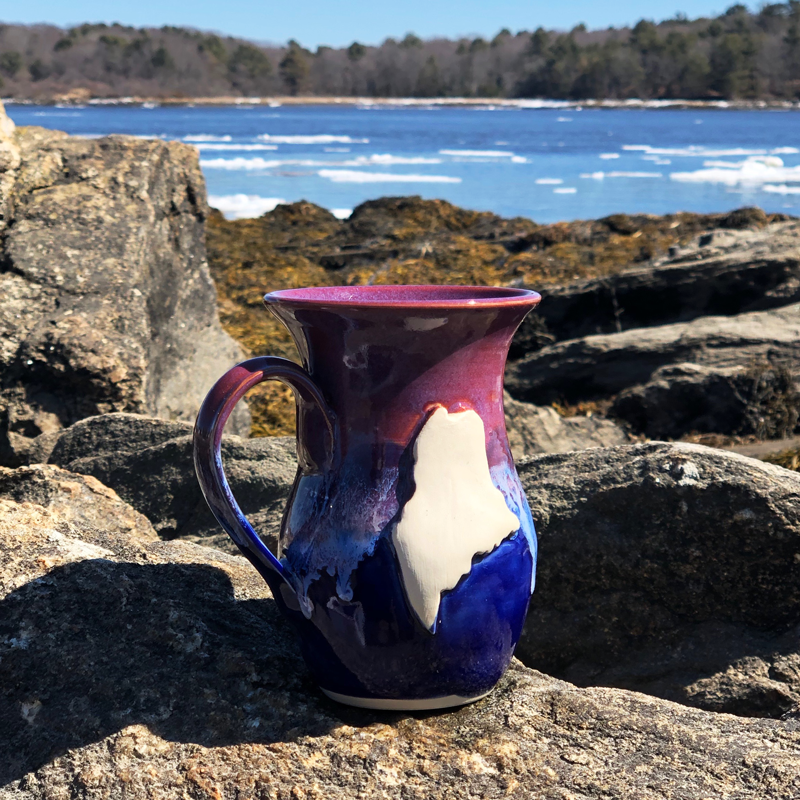 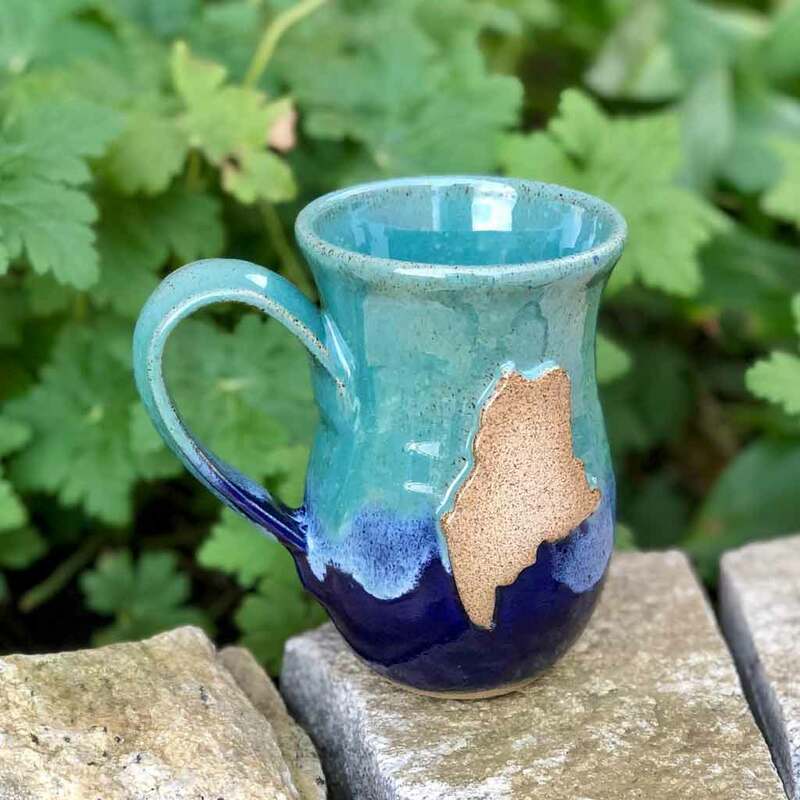 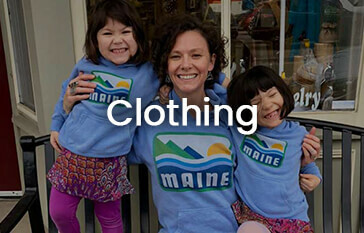 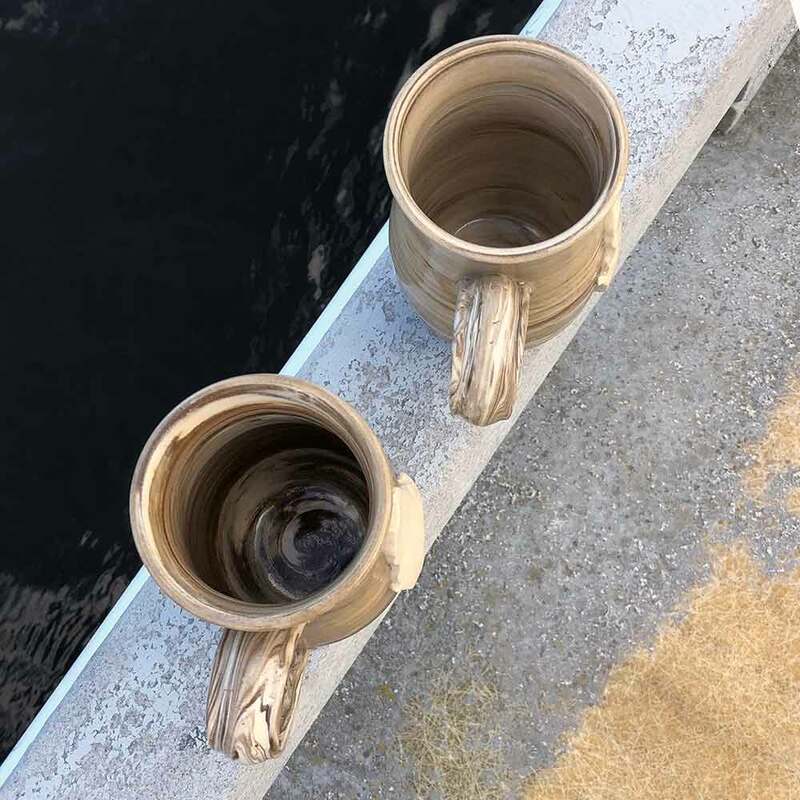 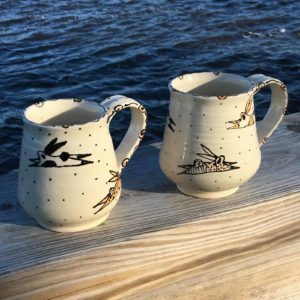 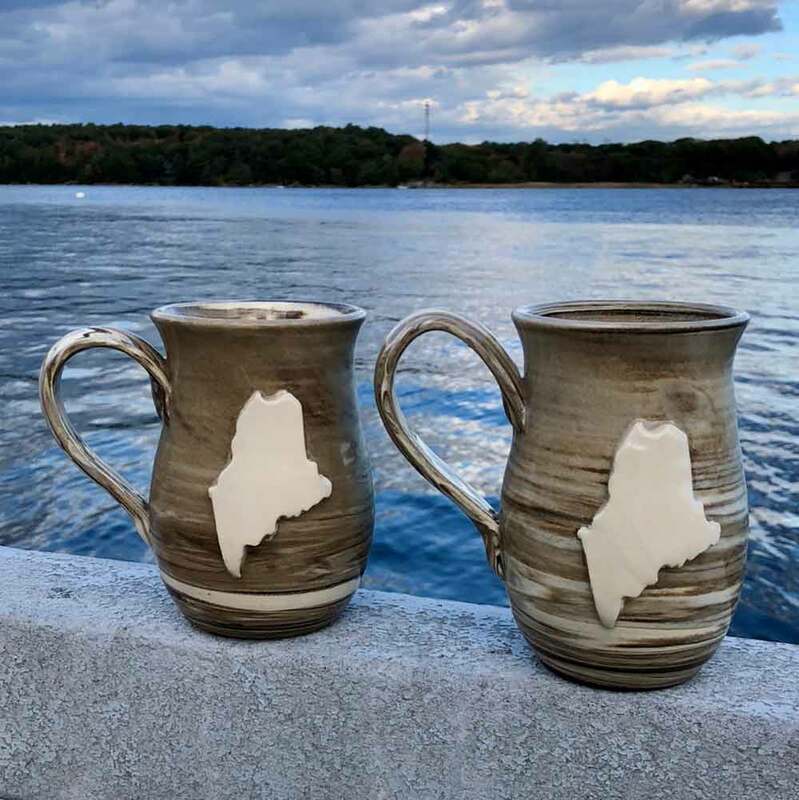 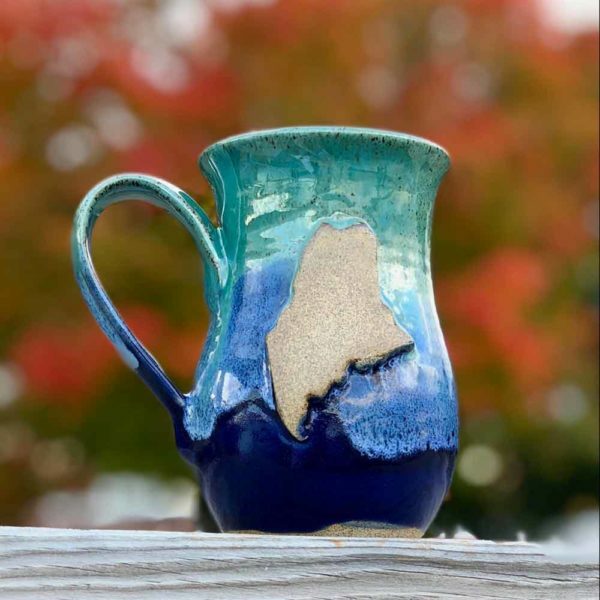 The Maine Mug by LKB Pottery is made by Laura. 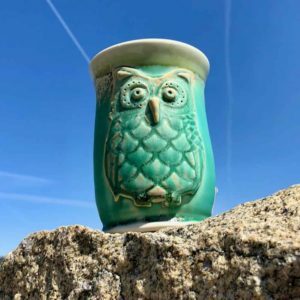 Laura has a very unique glaze style that ranges from very earthy to bright and colorful. She loves having some of the clay exposed because it has such a great feel in your hand. 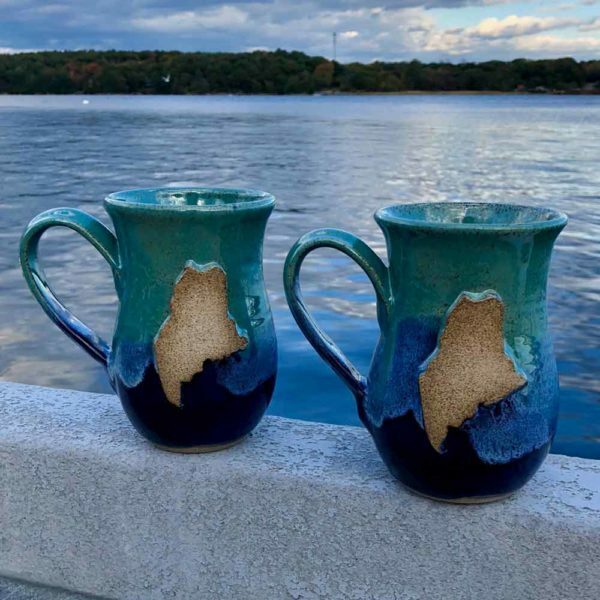 She also likes to accentuate glaze drips to make colors flow in interesting ways. 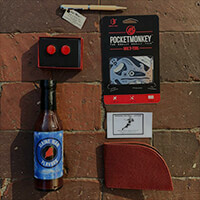 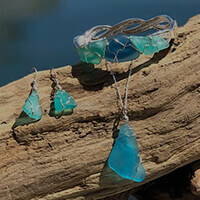 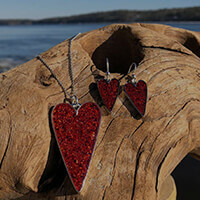 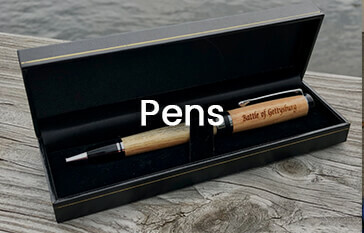 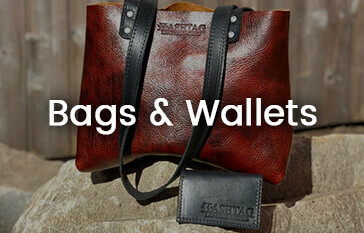 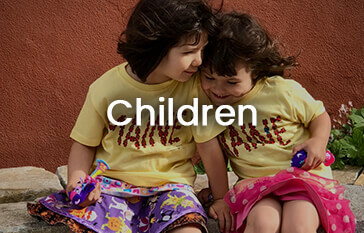 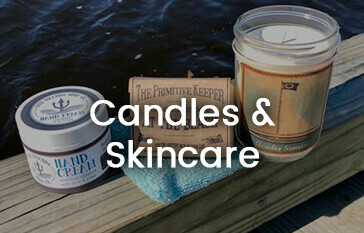 Every piece is made by hand with care and attention to detail. 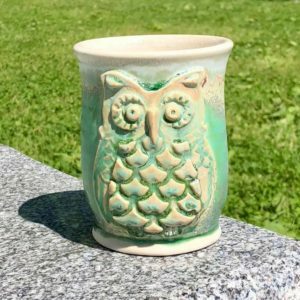 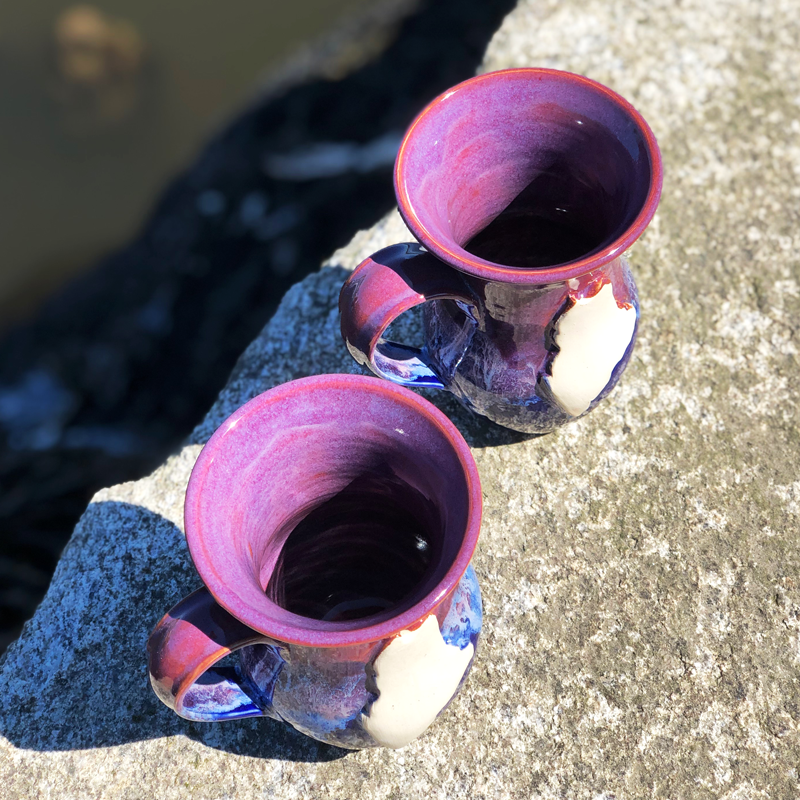 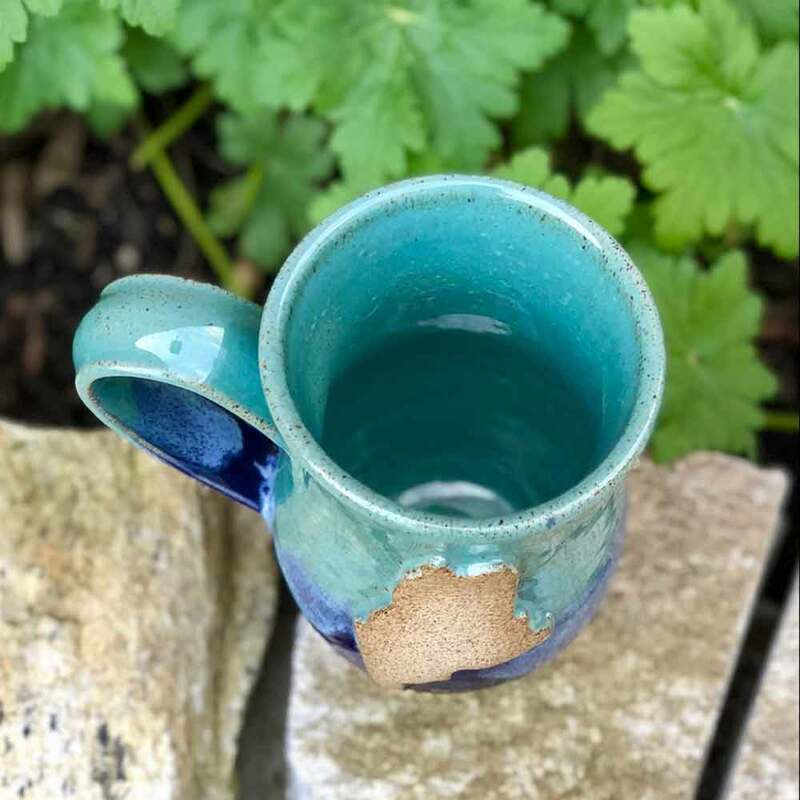 Laura is constantly trying to evolve the glazes that she uses so be sure to check in to see what new creations are available!